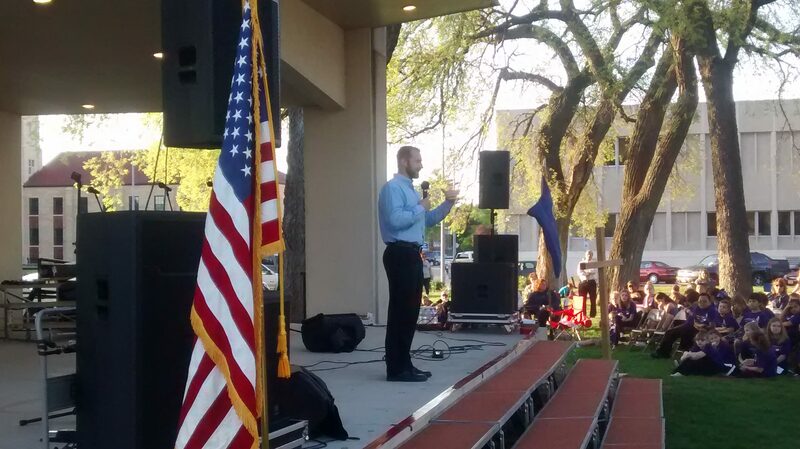 National Day of Prayer in Columbus Nebraska! The National Day of Prayer event in Columbus on May 4th 2017 was a great success this year with perfect weather (thanks Lord) several amazing groups performing, and featured speaker Kurt Tomasevicz speaking about his faith and how it led this small town Nebraska boy to bobsled tryouts in Calgary Canada, to a Gold Medal in the 2010 Vancouver Olympics. Thanks Columbus National Day of Prayer organization team for a great evening! VoiceHouse DJ and Sound was blessed to supply sound for this event where our goal was to “bounce the name of Jesus off the courthouse walls!” I think we did it. ← Working with the Millard South Choir today!